Philip Morris is a tobacco giant. The $104 billion business operates out of New York and employs 80,600 people. Last year Philip Morris pulled in $29 billion in sales and that works out to $357,000 per employee. Philip Morris holds a credit rating of A from the S&P. This allows Philip Morris to issue cheap debt to grow the business. And since smokable products in the U.S. are on the decline, the company has invested in heated tobacco products such as IQOS. This growth might offset some of the decline and the company has sticky consumers. Philip Morris can raise prices on existing products without losing too many customers. The long history of paying dividends makes it one of the best dividend stocks around. This also makes the Philip Morris dividend yield a great metric for value. A higher yield is generally better for buyers. The dividend payout ratio is often used to determine dividend safety. 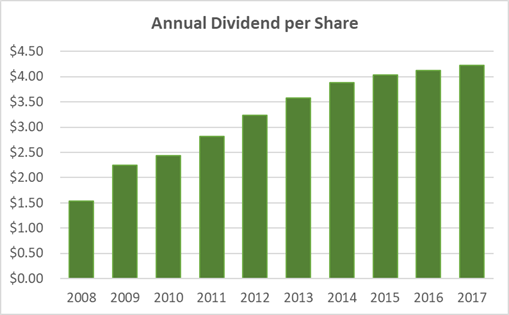 It’s the dividend per share divided by the net income per share. So a payout ratio of 60% would mean that for every $1 Philip Morris earns, it pays investors $0.60. 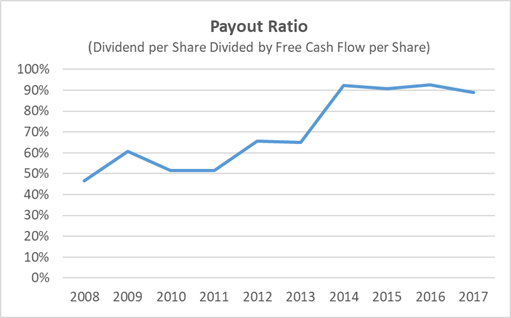 The payout ratio is a good indicator of dividend safety… but accountants manipulate net income. They adjust for goodwill and other non-cash items. A more useful metric is free cash flow. The ratio is volatile over the last 10 years and the trend is up. The last reported year shows a payout ratio of 88.9%. This doesn’t give much wiggle room for Philip Morris’s board of directors to raise the dividend. Investing in tobacco companies right now is a good risk-to-reward setup. You might want to shop for better dividend stocks in the current market. 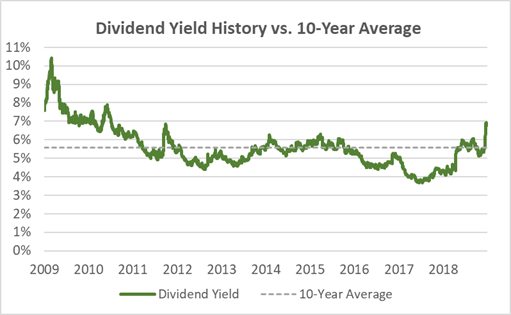 If you’re interested in seeing more dividend research, please comment below. You can also check out our free investment returns calculator.